Once again proud to introduce a new story in the trail of passion. 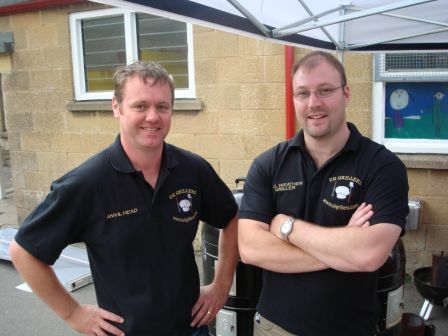 Adie Platts brings his story on how he experienced UK BBQ scene and live in general. A story of highs and lows but with a wonderful way to cope with it. I opted to put the whole story online! It’s long but more than worthwile to take the time and read! I can truly say he’s a man with the heart on the right place. Not throwing bricks at anyone, but looking how to take responsibility in a positive way to balance the score. He didn’t tell about his reasons to start with charity in this article but it’s proving him to be a good man! Hope you enjoy this warming article as much as I did. It seems to fit the christmas period. I would like to start this story by saying how honoured I am to have been nominated by Scott Lane. He’s the Pitmasters Miss Piggy’s BBQ team together with his lovely wife, best friend and life long partner in swine Lyndz. I suppose it would be fitting to detail my first encounter with the man. I now consider him to be First Lord of the Flame. It was a brisk morning in Tongham Surrey, the actual event escapes me, probably eclipsed by the copious amounts of alcohol and merriment that took place back in those early days of BBQ. 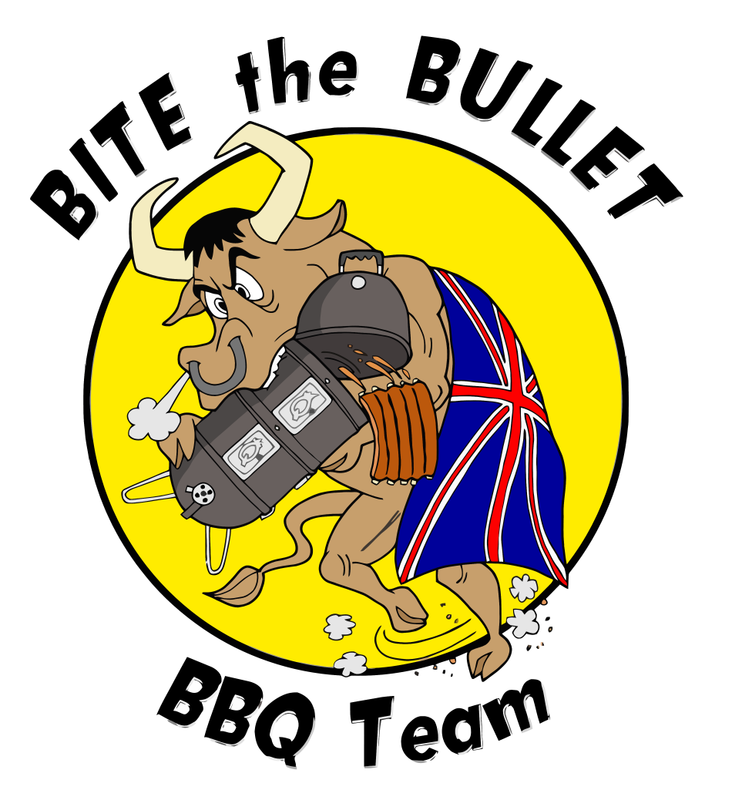 I was excited by the addition of new teams to the BBQ circuit and was keen to ensure that every new arriving team should be made to feel as welcome as we could. I tried to ensure them to take as much enjoyment from the sport as I did back then. As we had already had some contact on the forums, that I frequented and in part moderated we felt we knew most of the newbies anyway. Newbies is a strong word. This was our second season and then we only had about three contests in non-public access areas. However, as Scott and his team rolled in, I met him and showed him to his cook site. The evening rolled on and we greeted some of the existing teams on the circuits with beers as they arrived and helped those that needed it unpack and get setup. (This enabled us to speed up the time we could gather for a social drink). The night before contest day was always the most sociable. I spotted that Scott had a rather unusual and in these days rare GREEN Pro Q frontier. This was a real shocker to me as I never knew they existed. As I wandered over to chat and saw how they were getting on I asked how they were doing for the lights and electric and stuff. As everything was a bit dark in the Miss Piggy Camp. He said “I didn’t know we had electric so I haven’t got anything”. With that I headed back to my cook site and brought back a set of mains awning lights I had made some years ago. I dropped in the lights and was met with a bottle of Peroni and a pledge of love from the big man himself. From that point on we have been brothers in smoke. The guy that ran the event has a five or six acre plot with numerous animals from Pigs, chickens and even a domestic rabbit running around uncaged. You will never see a funnier site than Scott lane in the early morning, nursing an alcohol induced headache, trying to catch a rabbit because he thought it had escaped. My story of BBQ is long, at times complicated and in many ways a journey that could have been much shorter and possibly more enjoyable. For me it really started back in the early 1990’s as a newly wed in Married Quarters. 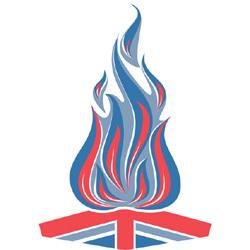 Although my experience of food over flame was captivated probably by the lack of it in my childhood but that didn’t put me off. As a child growing up firstly on my Granddads farm and then later in a rented farm house not a mile from where I currently live we never in my memory had a single family BBQ. Now you must remember I am a child of the 70’s and 80’s so my childhood was filled with Rope Swings, swimming in rivers, climbing trees, shooting, pocket knives, … All the great things that the kids of today just don’t get. One of the things we loved the most was camping. Obviously with camping goes cooking over fire. For me this was an absolute joy. Having built a fire, being able to benefit from the eating well from the land (Albeit in some cases sausages from my Grandma because our hunting skills were’nt quite refined enough) was a great achievement. Unfortunately, this was all to come to an end when my father moved us away from our home. We moved to a middle terraced house in the darkest depths of Lancashire. A move I was not impressed by and as it turned out a huge mistake. On the day we moved, I swore that one day I would move back home. At the age of 16 I joined the Army. Some years later about 4 to be precise, I had met and married my wonderful and patient wife Claire. 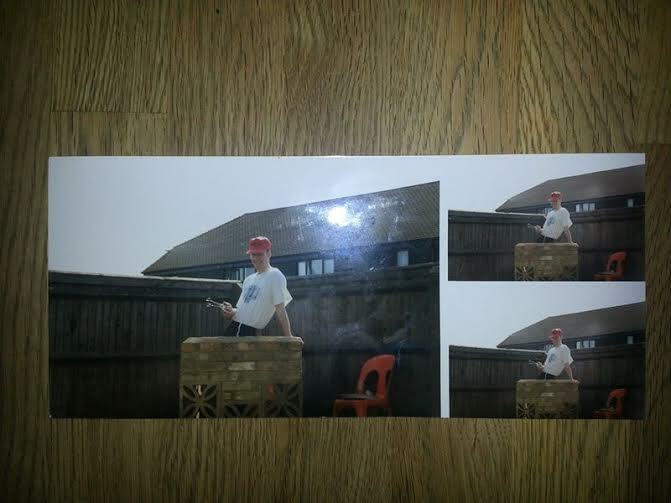 I was now the king of my own castle, an Army Quarter in Aldershot. We had a little garden and I was determined to have what I referred to as a BBQ. So it all started for me with a brick built grill that I used to so often incinerate good food. As the years passed I left the Army and we moved back to my home town in North Nottinghamshire. My wife got a job at a Supermarket and through her I met a mate called Shane. Now, Shane and I were of the same cut when it came to Beer and BBQ and this became evident as we cooked frozen sausages on his gas Outback in his garage on a frosty New Years day! My wife: right in the picture! Other persons are my son and daughter. The Spring of 2003 came around and Shane had bought himself a Weber Charcoal BBQ, as frankly the gas just really wasn’t doing it for him. I saw the quality of his kit and so I thought, I need to get me one of those. Soon it became a game of one upmanship. “Whatever you can cook I can cook better”. We started off with the complicated beer can chickens and moved through the cook books and videos of Weber and Jamie Purviance. 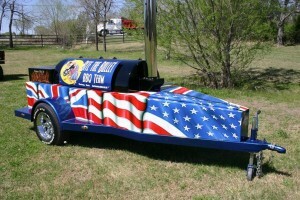 These were to us an inspiration and still oblivious to the raging world of competitive BBQ. We plodded on cooking ribs, butterfly chicken, scouring the shelves of supermarkets for grapevine leaves and buying cedar planks at ridiculous prices. Then one day Shane said there was a competition taking place in Illminster a World Championship BBQ competition no less. It was now 2008, I had a caravan and was happy to travel. As Shane was a qualified taster for Unilever he thought it would be a good idea to register us both for the Judging. So we packed up a couple of small BBQ’s, a shed load of beer and headed south. It was essentially my first BBQ road trip. It was here that I actually met a couple of guys from the ProBBQ forum. Al Demarky, John Hargate, Ian Mackend. There were probably only a few teams there that had experienced cooking competitions previously and as the days passed after this event it became clear that the guys that had entered were not pleased with the organisation. prizes seemed to be omitted and there were some discrepancies about judging (Apparently). Anyways it was back to the forums and chatting about what “we” should do if “we” wanted more events countrywide. I suggested that I could find a venue in the North Midlands. Another guy from Lancashire way suggested that he could find a venue up there and the idea was that we would be able to get people competing in small contests up and down the country and organise them locally. The first contest was organised to take place at Rother Valley Sheffield. With that came the formation of a BBQ “Society” which would be run with a view to creating a circuit which would have sanctioned contests throughout the country. We had a couple of successful BBQ Seasons but most of the events were all at the same location and were all many miles from me. Still I was loving the BBQ circuit and had been invited to attend the American Royal in 2009 and 2010. 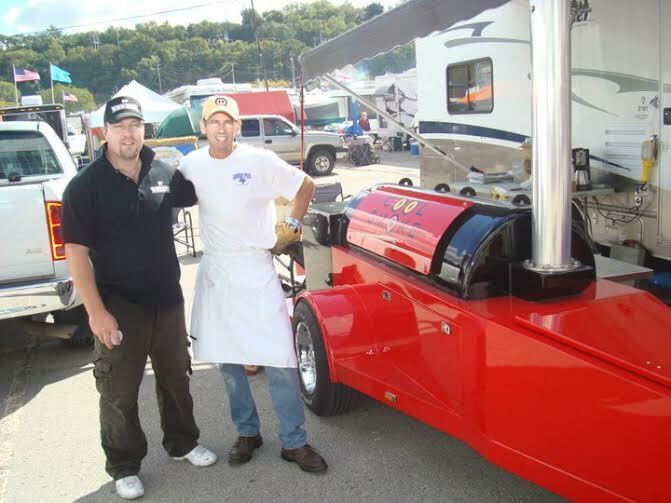 It was whilst I was at the American Royal in 2009 that I fell in love with the Jambo pit now made famous by TV shows, such as BBQ Pitmasters. I ordered one when I returned from the US and took delivery of it in 2011. Our Jambo is aptly called Edna and she is named after my Grandma who, was also a crafty smoker. Sadly, the contests continued to take place in the South. In 2011 I lost a piece of work that helped me fund the expense of competing down there. So, with almost all events taking place south of the M25 I would no longer have the capacity to take of so much time to do the events but also fund them. By this time, I seemed to have gotten myself embroiled in BBQ politics. Something I really wanted to avoid. I wasn’t into to promoting kit on forums, because I could get a freebie. I was all about introducing people to BBQ on a budget, not spending £100+ on a thermometer that wasn’t in my opinion needed to compete. All I wanted was more contests. Sanctioned and fair judging with contests local to me. 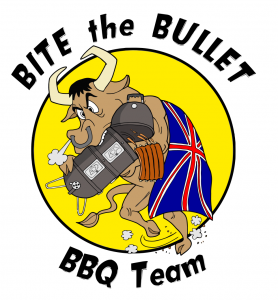 What was happening was UK Competition BBQ was being run and dictated by a small faction and there seemed to be no end in sight to contests in the south of the country. As I mentioned my personal life had taken a twist. I had lost a huge source of income and I had to make a decision about how I wanted to continue in BBQ. Scott had had some issues with the existing competition circuit and there were now many people striving to become BBQ “personalities” That meant in many cases the forums had become a hostile place to be, unless you were part of the clique. Something new was needed! Neither I or Scott can take sole or joint credit for the formation UK BBQ Association. 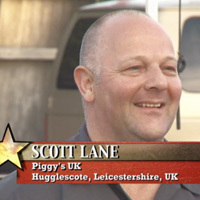 Whilst Scott and Miss Piggys were away at the Jack Daniels Contest in Oct 2012. It was suggested by a travelling buddy Charlie Langridge that an alternative society in the UK was needed and that he would help get it setup. Discussions were had with the KCBS and it was agreed that we should look at an association that would be about the members. 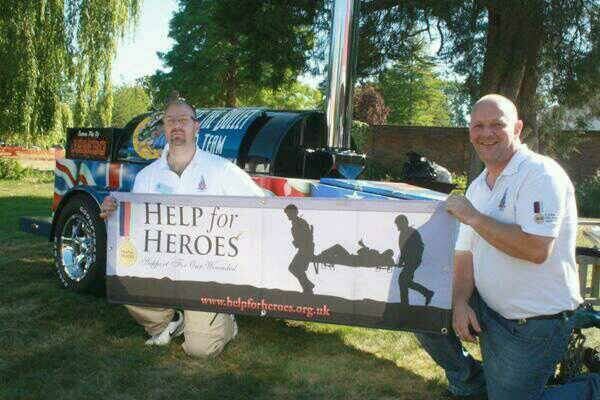 Any profits made would be donated to charity in our case “Help for Heroes”, and so the UK BBQ Association was born. Instead of complimenting UK BBQ, it was, unfortunately seen as a threat.. If not opposition to existing organisers and so we quickly became the targets for a lot of trolling, email hacking, endless jibes and facebook snipes. 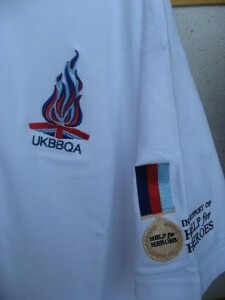 Over the two year period we ran UKBBQA we found nothing but toxicity and hatred for our endeavours from many of the UK Teams. Despite hosting the largest ever KCBS judging class in UK and insisting on KCBS Sanctioned events for transparent judging, our actions were seen to be divisive. 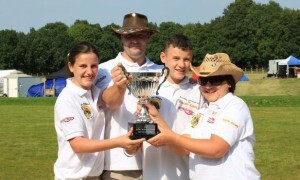 What had started out to be an attempt to promote BBQ, had become a nightmare for us on so many levels and with most of the love and support for our efforts coming from the European Teams plus the KCBS really only had a solid representation in mainland Europe with Mayco and Marianne; Scott and I took the decision to dissolve UKBBQA and to return to BBQ’ing for fun. For me it had gone too far. These people had ruined a past time for me in order to further enhance their pleasure. I had decided to back away from competition BBQ all together. Over the years I had been to the American Royal twice, having a personal cook class from Johnny Trigg on how to use my new Jambo Pit. 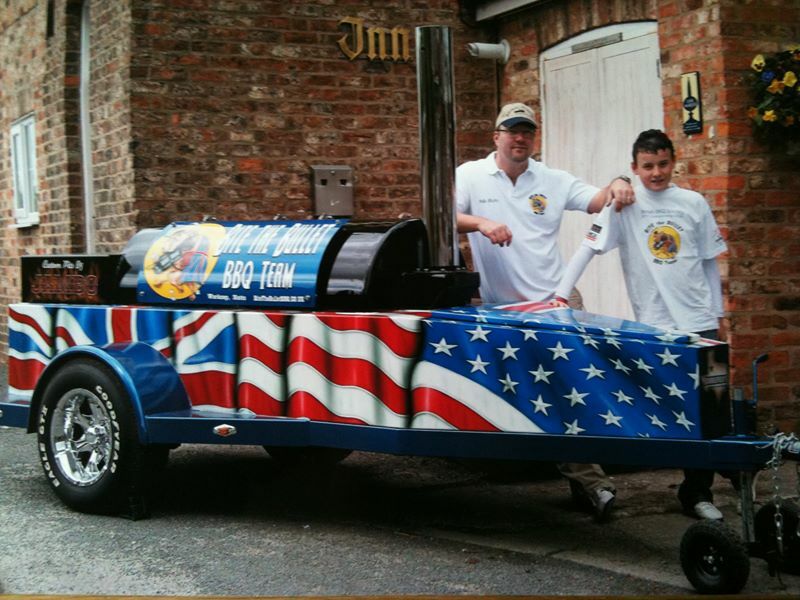 I had met Tuffy Stone, Rod Gray, Chris Lilly, Adam Perry-Lang, Jim Reinck and a whole host of BBQ ambassadors that had made a huge impression on me not least Ryan Newstrom and his lovely family from Big T’z Que Crew. I wanted to ensure that all I had gained was not lost. 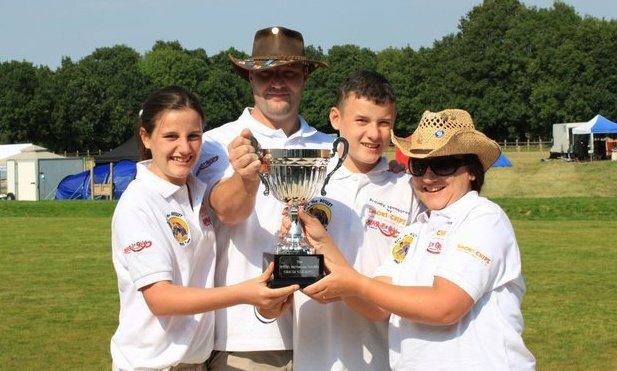 I had won a number of events in the UK and I felt that my experience on the BBQ scene could be used to help people that wanted to learn more about BBQ actually learn more. Now I’m not saying I’m a Jedi Master or have anything like the experiences that Scott or any of the names above now have, but what I can do is impart my passion. I now cook and teach BBQ at a number of small events in my area. Throughout the year, we help with the organising of events for Lawns Farm. 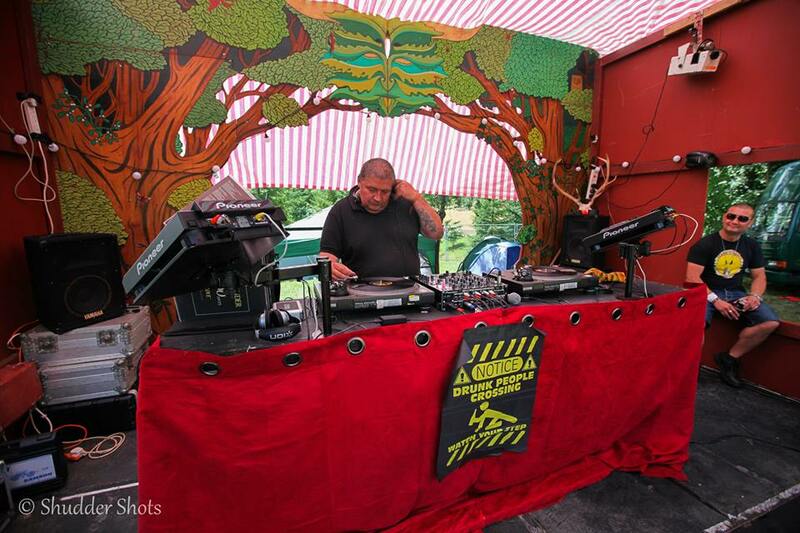 A great little venue in the middle of nowhere that host an annual event on Bank Holiday in August call Farm Fest. This event has BBQ Cook Classes. 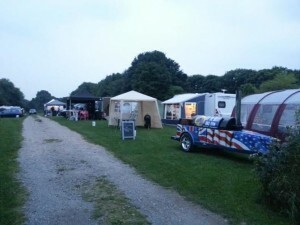 We serve Pulled Pork and Beef Brisket all reared locally, have camping, live music and local beers. We generally have a great time. 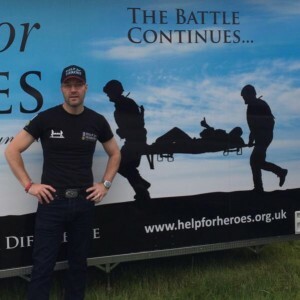 All proceeds from the events go to different charities including beating blood cancers, Help for Heroes and local Childrens Hospitals. These events epitomise the reason I got into BBQ in the first place, it’s about fun, food, learning, helping and promoting locally. I still love BBQ although for different reasons. I have fond memories of the events I have competed in and the events I have helped to organise. The smell of the smoke on a dewy morning in the contest field, the comraderies around the morning shots and the genuine well wishes for hearing your name to be called last. And not least the desire and the willingness to help a fellow rival with no malice or ill intent. These are some of the things I will never forget and whilst I have breath in my lungs I will always spread the message of BBQ to anyone that wants to hear it. Throughout my wilderness years having left the BBQ scene I have kept in touch with a number of people. Some maintain BBQ as an income source, some just for pleasure. 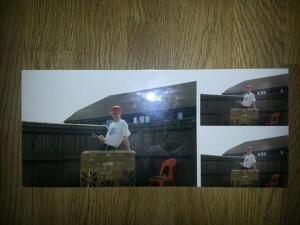 Although I think if you turn your profit into passion you lose the passion, I have the utmost respect for John Hargate. He maintains a presence in BBQ that I think is subtle yet influential. 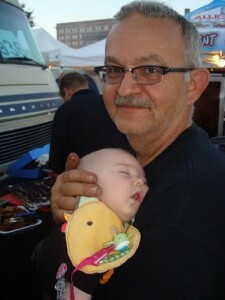 My first memories of John were at the 2008 BBQ championships. He wore a ridiculous Hawaiian shirt that made him stand out from the crowd and with a beaming smile and unmistakable accent, he in my opinion cooked and still cooks the most amazing Brisket. John transcends all the parts of BBQ that I had come to dislike and is to me a personal legend who is never too busy to have a chat. He has travelled the world in many cases to countries that many of us can only dream about. He regales me of stories about Dianna Doors, Texas Trips and even a vegetarian period in his life. His story is fascinating and I am richer for knowing some of it, I only hope that he will share this with you. I would also like to use this as an opportunity to say a thank you to everyone that has been positive about BBQ. There are some absolute stars for me they include Brendan Stubblefield (Stubby) this guy made such an amazing job painting my Jambo that she has been able to make a big impact when raising monies for charity. He asked me to place my trust in him to do something special and wow did he deliver. 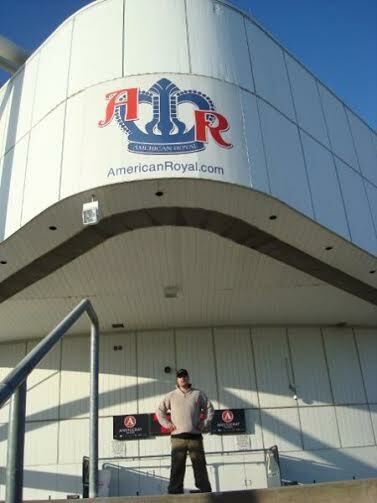 A special mention to our neighbours at the American Royal in 2009 and 2010. We had the pleasure of sharing some smoke with Ryan & Sonia Newstrom and Sonia’s father Dan Stoltze. Dan was an awesome guy. Sadly he passed away in November 2015 and our thoughts are with his family.